Forgot to order a king cake? Can’t make it to a parade in New Orleans, but still want to celebrate Mardi Gras? Memphis has several Cajun-themed restaurants and bars, many of which are planning specials for Fat Tuesday, March 4th. Again, Memphis offers plenty of delicious-sounding options to partake on Tuesday. Here are a few. The Mighty Souls Brass Band will play live music while customers can down $3 pints all night and chow on plenty of boiled crawfish. The Lannie McMillan Jazz Trio will play live music from 6 to 9 p.m. Tuesday, while customers can enjoy $5 Hurricanes, $3 Abita beers, and $5 wines. 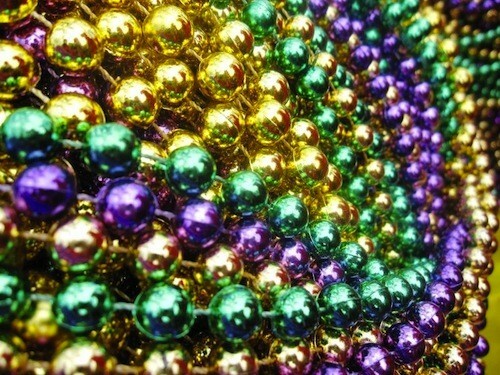 In addition to bead tosses from the balcony and king cake for dessert, chef Jody Moyt will offer a variety of appetizers and entrees like fried crab claws, oysters Dunbar, and trout Rex (pecan-encrusted rainbow fillets over a Mardi Gras vegetable medley, squash zucchini and purple cabbage, with hollandaise and crab meat). No theme party this year, but there will be plenty of $5 Hurricanes, $3 Fireball shots, and $5 Jager Bombs. For the food-inclined, The Boiling Point offers live crawfish, po-boys, red beans and rice, gumbo and frog legs. According to chef Kelly English, the restaurant will offer fried chicken for Fat Tuesday, which he calls “real, actual Mardi Gras food.” The bartenders are coming up with some fun drink specials for Tuesday as well. Want to celebrate, but can’t do it on a weeknight? The Second Line will offer a boudin hot dog this weekend. For $35, you can enjoy a four-course beer dinner featuring Wiseacre beer. There's a reception at 6:30 p.m. and dinner at 7 p.m. The courses include oyster soup with Kerfluffle Oatmeal Stout, deep-fried pork terrine with either Fleur Verte Belgian Pale Ale or Holy Candy, boudin-stuffed quail with Ananda and beignets with Gotta Get Up To Get Down Coffee Milk Stout. 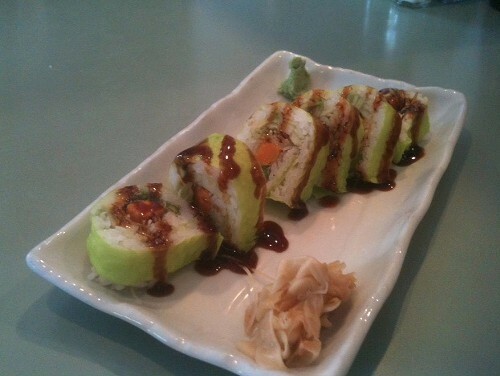 Reservations are required: 581-0541 or kari@localcaters.com. The first person to correctly ID the dish and where I'm eating wins his or her choice of a $50 gift certificate for Gould's or a $50 gift certificate for Jim's Place. 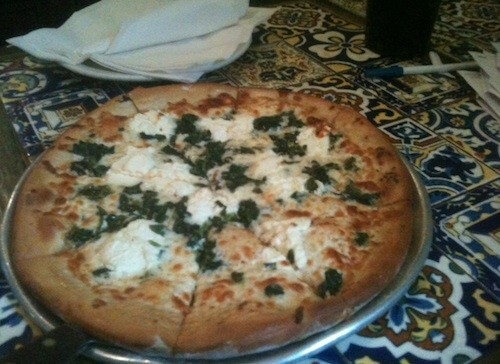 The answer to last week's contest is the Bianca pizza at Movie & Pizza Company, and the winner is ... Shanna Boney! Two weeks ago, Paulette's introduced a vegetarian menu, with a revolving set of 3 or so dishes served on its lunch and dinner menus. "We started it because people were asking about vegetarian items," says Paulette's owner George Falls. "We thought, 'Well, why not? Let's try." Lunch dishes currently being offered are the Winter Vegetable Stew, the Roasted Vegetable & Goat Cheese Crepes, and Wild Mushroom Pappardelle. Prices range from $10.95 to $12.95. 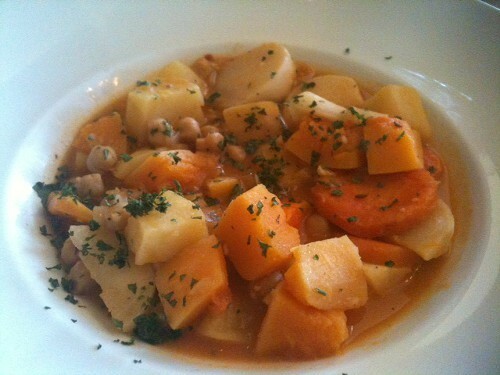 The stew is made with Yukon gold potatoes, butternut squash, carrots, and garbanzo beans and simmered in a vegetable broth with honey and cumin. 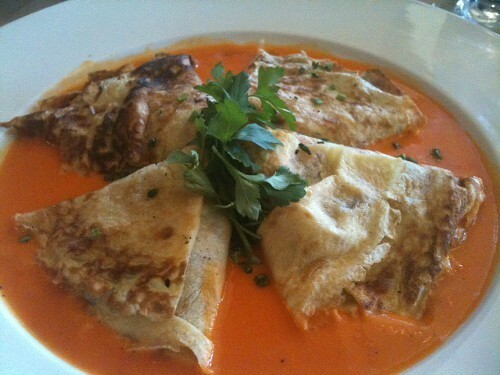 The perfectly done crepes were filled with a finely diced mix of roasted eggplant, zucchini, carrots, and bell peppers and served in a pretty red pepper coulis. Both dishes are hearty but not so heavy as to knock you out the rest of the day. Other items included in the revolving menu are a pot pie, quinoa stuffed peppers, and kale salad with red lentil cakes. Falls says that they came up with the fare by studying cookbooks and talking to vegetarians. He gives a shout-out to Justin Fox Burks and Amy Lawrence and Southern Vegetarian cookbook. Right now the menu is sort of in a testing phase. "We're going to switch up a bit," says Falls, "and find out, too, which ones people like the most." 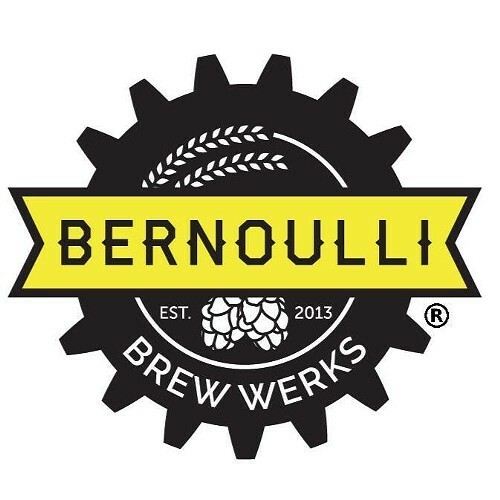 Bernoulli Brew Werks, a homebrew supply store at 2881 Poplar in Chickasaw Crossing, has set a date for a grand opening on Friday, February 28th, 6-10 p.m.
Brooks Sease is one of five partners opening the store. Members of this group, says Sease, share an enthusiasm for home-brewing and a background in engineering. That background is reflected in the gear used in the logo and the business' name, a nod to Bernoulli's Equation, which deals with fluid dynamics. Bernoulli, Sease says, "will have anything, everything you need" — full and partial mashes, grains, hops, pots, coolers, propane burners, and so on that will fill the bill for the novice and the more expert brewer. The plan for now is to have the shop open evenings, 6 to 9 p.m., during the week, with longer hours on the weekend (10 a.m. to 6 p.m. Saturday and noon to 6 p.m. Sunday). The owners also plan to hold monthly or bi-monthly brewing events in the parking lot. Sease says their vision for Bernoulli is more than just a store, just a place where customers get what they need and leave. They have a hang-out room in the back, and the partners will be brewing their own beers on-site. "You smell the hops, grains, and mash," Sease says, "and leave thinking, 'I'm ready to go make some beer!'" I was headed to the store to gather supplies for yet another forecasted snowy/icy day, but ditched the idea for this restaurant instead. The first person to correctly ID the dish and the restaurant where I'm eating wins his or her choice of a $50 gift certificate to Gould's or a $50 gift certificate to Folk's Folly. 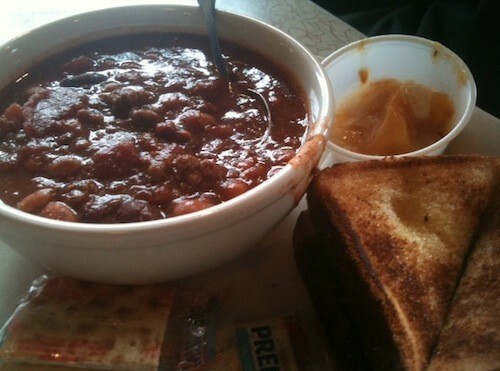 The answer to last week's contest is the grilled cheese and chili at the Arcade, and the winner is ... Doug Gordon. 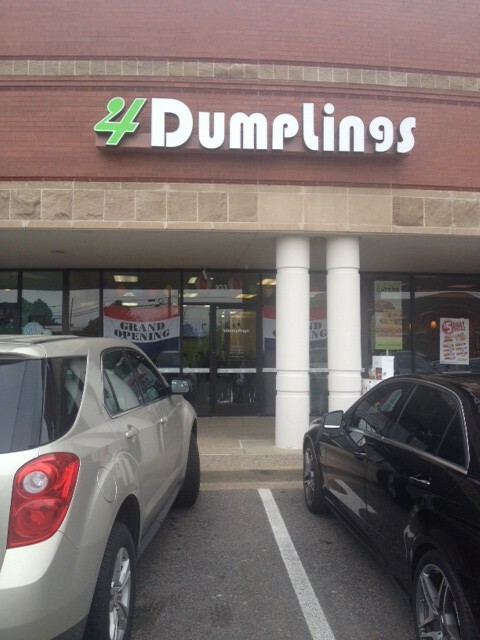 East Memphis has a new kind of Chinese restaurant with last month’s opening of 4 Dumplings next door to TCBY in the Poplar Court shopping center. As evidenced by its name, the restaurant specializes in dumplings, which are a staple of northern Chinese cuisine, and the regular menu (available Monday through Saturday) features four different varieties: pork, beef, shrimp, and vegan (which includes chick peas, tofu, and an assortment of shredded vegetables). 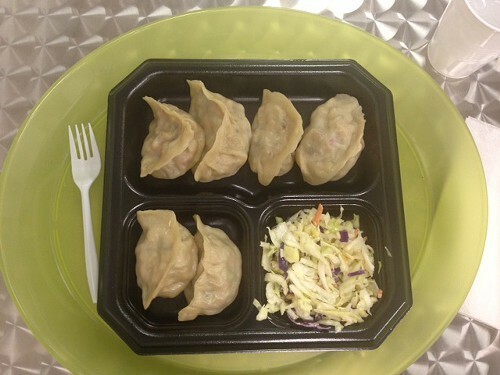 One order ($8-$9.50) includes six dumplings and a side of Asian coleslaw. Sticking with its motto, “eat responsibly,” 4 Dumplings’ mission is to serve food that is “simply delicious and naturally healthy.” The dumplings are filled with two-thirds vegetables and one-third protein, and they are available either steamed or pan-seared. The restaurant does not serve any fried foods. In addition to the dumplings, the regular menu features meat ball soup and rice or noodle bowls with grilled chicken. The restaurant has a changing brunch menu every Sunday, which allows the chefs to experiment with other regional flavors and dishes. Heather Pike and Abby Jestis plan to open Tart in a converted duplex at 820 S. Cooper by the end of February. 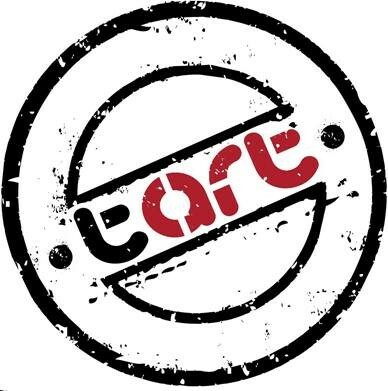 For those who can’t wait, Tart will open its doors from 5 to 8 p.m. Thursday, February 13th, for a housewarming party with food, music, crowdfunding opportunities, door prizes, and an art exhibit with work by Mark Nowell, Mary Jo Karimnia, and Shea Colburn. In addition to acting as a patisserie with French and New Orleans-based foods, Tart’s ambitious identity includes coffeehouse, breakfast stop, post-dinner dessert destination and full-scale art gallery. “It’s difficult to calculate the concept into a single detail. There’s going to be so many,” Pike says. “The passion is the glue. For this week's contest, a place that is frequently guessed as the answer to the contest but before now has not been featured. The first person to correctly ID the dish and the restaurant where I'm eating wins his or her choice of a $50 gift certificate for Gould's or $50 gift certificate for Folk's Folly. 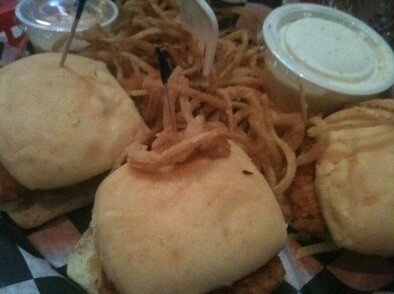 The answer to last week's contest is the Southern Style Chicken Miners at Huey's, and the winner is ... Kristin Weeks! Justin Timberlake's Silver 901 Tequila label, launched in 2009, has been rebranded as Sauza 901. Timberlake entered into a partnership with Beam Inc. earlier this year. 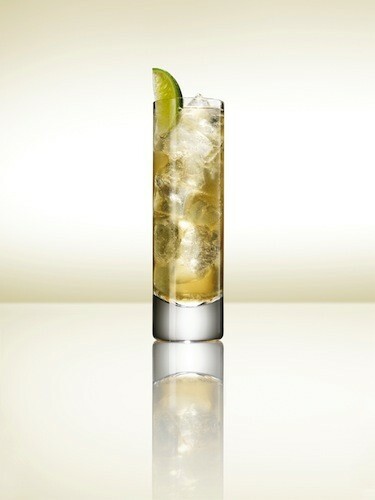 Sauza tequila is just one of the entities under the Beam Inc. umbrella, which includes Jim Beam Bourbon, Maker's Mark Bourbon, Pinnacle Vodka, Canadian Club Whisky, Courvoisier Cognac, Teacher's Scotch Whisky, Skinnygirl Cocktails, Cruzan Rum, Hornitos Tequila, Knob Creek Bourbon, Laphroaig Scotch Whisky, Kilbeggan Irish Whiskey, Larios Gin, Whisky DYC, and DeKuyper Cordials. What that means to you and me is a considerable savings. In 2009, a bottle of Silver 901 was sold for about $50. Sauza 901 is $29.99 for a 750ml bottle. Southwind Wine & Spirits will introduce its new exclusive-to-the-store wine Page 52 at a dinner at Elfo's on Monday, February 17th, at 6:30 p.m. 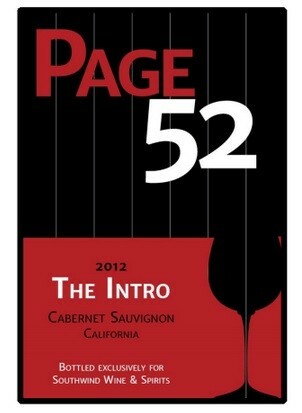 The Page 52 lineup includes a Chardonnay, a Cabernet Sauvignon, and a Pinot Noir. The wine line's name is a mashup. The "Page" is for Southwind's owners' family name, and "52" is a nod at the store's slogan of "Home of the 52-week sale." Admittedly it's one of the first worldlier or first world problems, but the recent spate of burst pipes had me hoofing it to Bartlett for my little dog's acupuncture appointment. 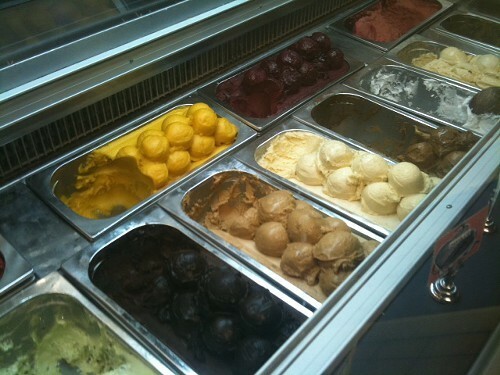 And that is how I came upon Gelato Cafe. The restaurant offers a number of Italian sandwiches, including the Di Venezia with turkey and provoline with pesto sauce and the Napoletano with mortadella, salami, pastrami, and provolone. Gelato Cafe offers gelatos (made exclusively for the store) ranging from coconut and pistachio to creme caramel and hazelnut. Sorbettos include mixed berry, mango, pineapple, and strawberry. I got the questionable combo of coconut and coffee gelatos ($2.95 for small), but both were excellent. The coffee wasn't overly sweet, and I really liked the bits of coconut meat in the coconut gelato. The gelatos and sorbettos are available for take-out in 1/2 liters for $8.99 and 1 liter for $17.99. The first person to correctly ID the dish and the restaurant wins his or her choice of a $50 gift certificate for Folk's Folly or $50 gift certificate for Gould's. The answer to last week's contest is the Indian Tea at India Palace, and the winner is ... E.J. Friedman!